We are continuing our Teachings in The Law of Moses from Deuteronomy 10.20. AND THE TITLE OF OUR MESSAGE IS, WHAT IS SIN? And with that said, let’s read the first part of Deuteronomy 10.20. DEUTERONOMY 10.20 YOU SHALL FEAR THE LORD YOUR GOD. The Hebrew Word for Fear is YA’RAY that means to be Frightened and to Revere. The word Revere means to regard with Respect with a slight degree of awe, or fear. So I would say that fearing GOD is to Revere GOD, Respect The LORD Our GOD, and Fear Him. THE FOUNDATION ON WHICH THE BIBLE STANDS IS TO OBEY EVERY WORD THAT GOD SPEAKS IN THE BIBLE. AND THAT INCLUDES THE LAW OF MOSES WRITTEN FROM GENESIS THROUGH DEUTERONOMY. THAT IS OBEYING GOD. DEUTERONOMY 6.4 IS THE STATEMENT OF GOD. HEAR O ISRAEL, THE LORD OUR GOD, THE LORD IS ONE. HEAR IN HEBREW, AS YOU ALL KNOW, IS SHEMA, MEANING, HEAR AND OBEY. HEAR AND OBEY GOD. OBEY EVERY WORD GOD SPEAKS IN THE BIBLE. AND KNOW, BELIEVE, AND UNDERSTAND THAT THERE IS ONLY ONE GOD AND NO OTHERS. THAT IS A STATEMENT OF GOD. OBEY EVERY WORD GOD SPEAKS IN THE BIBLE, AND KNOW AND BELIEVE THERE IS ONLY ONE GOD. THAT IS OLD TESTAMENT AND NEW TESTAMENT TEACHING. Now, will the human mind be more likely to Obey GOD by Respecting The LORD with a little awe and fear, or will that person be more inclined to Obey GOD if he or she Fears GOD and Respects Him? I don’t know about you, but it’s easy for me to Obey GOD because not only do I Respect GOD, and Love Him, I Fear GOD. I do not want to be punished by Him for deliberately disobeying The LORD my GOD. Add to that, I enjoy being obedient to GOD. For me it’s a blessing to know and understand what The LORD requires of me. So I’m happy to obey Him. I know that I’m doing right in the sight of The LORD when I obey Him. And I know that it pleases Him, and it makes me happy to obey Him. And that makes for a good relationship between GOD and me because I do what He says. I don’t even question Him. When you look at the great ones in The Bible, Noah, Abraham, Isaac, Jacob, Moses, David, The Prophets, The Disciples and Apostles of Messiah, and many women, and Yeshua The Messiah Himself, and many others, all Obeyed GOD, and I’m sure they Feared GOD. 1 PETER 2.21-22 MESSIAH’S EXAMPLE FOR US TO FOLLOW IS, DO NOT SIN. OF ALL THE WONDERFUL THINGS THE MESSIAH YESHUA DID, THE EXAMPLE HE LEFT US TO FOLLOW IS, WE SHOULD NOT SIN. Yet the Church never explains what sin is. And many Messianic Congregations never explain what sin is. Why is that? THE DEFINITION OF SIN IS NOT A HIDDEN SECRET IN THE BIBLE. THE DEFINITION OF SIN IS CLEARLY EXPLAINED IN BOTH THE OLD AND THE NEW TESTAMENTS. AND IT IS SIN THAT HAS CAUSED THE WORLD AND THE PEOPLE IN IT SO MUCH GRIEF. AND IT IS CLEAR AS CRYSTAL WHAT SIN HAS DONE TO PEOPLES AND NATIONS THROUGHOUT THE BIBLE. SIN IS DESPISING THE WORD OF THE LORD WRITTEN IN THE BIBLE. SIN IS BREAKING GOD’S COMMANDMENT. GOD’S COMMANDMENT IS ANY OF GOD’S LAWS THAT ARE WRITTEN IN THE LAW OF MOSES AND THROUGHOUT THE BIBLE. SIN IS DISOBEYING GOD. DISOBEYING THE WRITTEN WORD OF GOD IN THE BIBLE BECAUSE EVERY WORD OF GOD IS HIS LAW FOREVER. THE SIMPLE EXPLANATIONS OF SIN IN THE BIBLE FOR ALL THE WORLD TO SEE ARE WRITTEN IN 1 JOHN 3.4 IN THE NEW TESTAMENT, AND NUMBERS 15.30-31 IN THE OLD TESTAMENT. 1 JOHN 3.4 READS, WHOSOEVER COMMITS SIN, TRANSGRESSES ALSO THE LAW, FOR SIN IS THE TRANSGRESSION OF THE LAW. THE LAW IS TORAH, THE LAW OF MOSES. NUMBERS 15.30-31 BUT THE SOUL THAT DOES ANYTHING PRESUMPTUOUSLY, IN WILLFUL DISOBEDIENCE, WHETHER HE WAS BORN IN THE LAND,OR A STRANGER, THE SAME REPROACHES THE LORD. AND THAT SOUL SHALL BE CUT OFF FROM AMONG HIS PEOPLE. BECAUSE HE HAS DESPISED THE WORD OF THE LORD, AND HAS BROKEN HIS COMMANDMENT. THAT SOUL SHALL UTTERLY BE CUT OFF. HIS SIN SHALL BE UPON HIM. GOD’S WORD WRITTEN IN THE BIBLE NEVER ENDS NOR DOES THE WORD OF GOD EVER CHANGE. PERIOD. THE DEATH OF MESSIAH YESHUA DID NOT ABOLISH THE TORAH, THE LAW OF MOSES. ON THE CONTRARY, GOD PUT HIS LAW OF MOSES IN YOUR INWARD PARTS, AND WROTE IT IN YOUR HEART TO OBEY HIM WHEN YOU CAME TO FAITH IN MESSIAH YESHUA. BUT ALONG THE WAY, FOR HUNDREDS OF YEARS, NUMEROUS BIBLE TEACHERS HAVE TAUGHT, AND CONTINUE TO TEACH THAT JESUS DIED FOR YOUR SINS AND YOU NO LONGER ARE REQUIRED TO OBEY THE LAW OF MOSES, THEY SAY. IT’S NO LONGER IN EFFECT, IT’S ABOLISHED THEY SAY. AND THAT IS ABSOLUTELY WRONG. A DOCTRINE FROM SATAN. AND BY DOING WHAT THESE FALSE TEACHERS TEACH, THEIR PEOPLE CONTINUE IN SIN, BREAKING GOD’S WORD AND HIS LAW OF MOSES. AND THAT GETS THEM AND THE FALSE TEACHERS IN A HEAP OF TROUBLE. AND IF THEY ARE NOT IN TROUBLE NOW, THEY WILL BE UNLESS THEY REPENT AND TURN TO GOD AND OBEY EVERY WORD HE SPEAKS IN THE BIBLE, AND THAT INCLUDES HIS LAW OF MOSES. 2 PETER 2.21 RIGHTEOUSNESS IS OBEYING GOD, OBEYING EVERY WORD GOD SPEAKS IN THE BIBLE, AND THAT INCLUDES THE LAW OF MOSES. 2 PETER 2.22 THE DOG TURNING TO ITS OWN VOMIT AGAIN IS SYMBOLIC OF TURNING TO SIN AGAIN. SATAN INTRODUCED SIN TO THE WORLD. THE POPULAR EVENT IS WRITTEN IN THE SECOND AND THIRD CHAPTERS OF GENESIS IN THE GARDEN OF EDEN WHEN THERE WERE ONLY TWO HUMAN BEINGS ON EARTH, ADAM AND EVE WHOM GOD CREATED TO LIVE FOREVER IN A PERFECT AND SINLESS SETTING IN THE GARDEN OF EDEN. BUT SATAN SHOWS UP, AND SAYS TO EVE, HAS GOD SAID, YOU SHALL NOT EAT OF EVERY TREE IN THE GARDEN? AND EVE SAID TO THE SNAKE, GOD SAID, YOU SHALL NOT EAT OF THAT TREE IN THE MIDST OF THE GARDEN, NEITHER SHALL YOU TOUCH IT, LEST YOU DIE. AND SATAN THE LIAR SAID TO THE WOMAN, YOU SHALL SURELY NOT DIE, FOR GOD KNOWS THAT IN THE DAY YOU EAT OF THAT TREE, YOUR EYES WILL BE OPENED AND YOU SHALL BE AS GOD KNOWING GOOD AND EVIL. SO ADAM AND EVE DISOBEYED GOD. THEY ATE FROM THE TREE OF WHICH GOD TOLD THEM NOT TO EAT. AND YEARS LATER, AS GOD SAID, THEY DIED. AND THEY LOST THEIR ETERNAL LIFE TO LIVE FOREVER IN THE PREFECT AND SINLESS SETTING OF THE GARDEN OF EDEN. AND SIN BECAME A PART OF HUMAN LIFE THAT REQUIRES BLOOD FOR ATONEMENT, TODAY, THE BLOOD OF MESSIAH YESHUA. LIES, AND DISOBEDIENCE TO GOD WHICH IS SIN ARE OF SATAN. BUT WHEN YOU FEAR GOD, ALONG WITH YOUR LOVE AND REVERENCE FOR GOD, YOU WILL OBEY GOD. BELIEVE ME, YOU WILL OBEY GOD HAPPILY. BUT MOST PEOPLE HAVE NO IDEA WHAT GOD REQUIRES OF THEM. IT IS RARELY TAUGHT. AND WHAT GOD REQUIRES FROM ALL MANKIND IS OBEDIENCE TO HIS WORD AND HIS LAW OF MOSES. AND KNOW AND BELIEVE THERE IS ONLY ONE GOD AND NO OTHERS. HEAR WHAT MESSIAH YESHUA SAYS ABOUT FEARING GOD IN MATTHEW 10.28. DO NOT FEAR THOSE WHO KILL THE BODY BUT ARE NOT ABLE TO KILL THE SOUL. (THE SOUL IS THE LIFE OF THE PERSON) BUT RATHER FEAR HIM, FEAR GOD WHO IS ABLE TO DESTROY BOTH SOUL AND BODY IN HELL. YET THE CHURCH DOES NOT TEACH WHAT SIN IS. NOR DO MANY MESSIANIC CONGREGATIONS TEACH WHAT SIN IS. AND IT IS SIN THAT GET’S US INTO BIG TIME TROUBLE WITH GOD. AND SIN IS THE REASON FOR THE PROBLEMS OF LIFE AND ALL THE PROBLEMS IN THE WORLD. THE BIBLE SAYS THAT GOD WILL ONE DAY DESTROY THE WORLD, AND MOST PEOPLE IN IT, BECAUSE THE OVERWHELMING MAJORITY OF THE PEOPLE DISOBEY GOD. THEY BREAK HIS LAW OF MOSES, THEY DESPISE THE WORD OF GOD IN THE BIBLE, AND THEY BREAK HIS COMMANDMENT. But most people do not fear GOD because in their minds they have no reason to fear GOD. They don’t know what sin is, or don’t care what sin is. And they continue to live their lives in sin. And, because huge numbers of people are taught the lie of satan that Jesus abolished the Law of Moses by His death on the cross. WHEN YOU, THE MAN OR WOMAN OF GOD KNOW WHAT SIN IS, BREAKING GOD’S LAW OF MOSES, DESPISING THE WORD OF GOD AND HIS COMMANDMENT, YOU WILL VERY GLADLY OBEY GOD, AND DO WHAT HE SAYS. AND THAT RESULTS IN ETERNAL LIFE IN HEAVEN. YOU OBEY GOD, YOU BELIEVE THAT THERE IS ONLY ONE GOD, AND YOU HAVE FAITH IN MESSIAH YESHUA FOR YOUR ATONEMENT. Messiah, Who is GOD ALMIGHTY, at His Passover Seder, or the last supper, when He broke the board of matzah, and gave a piece to His Disciples, spoke these Words saying, Take, eat, this is My Body. Messiah’s Disciples obeyed GOD, except Judas Iscariot. And they lived by Torah, The Law of Moses. In fact, The Bible tells us that The Messiah Yeshua taught them The Word of GOD, and they kept and obeyed The Word of GOD. And they no doubt feared GOD having heard Messiah teach, Do not fear those who kill the body, but are not able to kill the soul, but rather fear Him Who is able to destroy both soul and body in hell. MESSIAH TOLD THE FATHER IN HEAVEN THAT THE MEN YOU GAVE ME HAVE KEPT YOUR WORD. AND THEY HAVE RECEIVED YOUR WORD BECAUSE I GAVE THEM YOUR WORD. AND THAT OTHERS WILL BELIEVE THROUGH THEIR WORD. ISAIAH 49.6 THIS IS PROPHECY. GOD GAVE MESSIAH YESHUA TO BE A LIGHT TO THE GENTILES TO TEACH THE GENTILES THE WORD OF GOD, THAT INCLUDES THE LAW OF MOSES. MESSIAH’S TEACHING IS FROM GENESIS 1.1, AND IS TAUGHT THROUGHOUT THE BIBLE. GOD WILL BEGIN TO GIVE YOU WISDOM WHEN YOU BEGIN TO FEAR GOD AND OBEY WHAT HE SAYS. THAT IS GOD’S PURPOSE FOR US TO FEAR HIM, TO OBEY GOD. I thought that I would look up the meaning of Wisdom in Webster’s Dictionary. For the Fear of The LORD is the beginning of wisdom. Wisdom is described as 1. The quality or state of being wise; Discernment or Insight. 2. Scholarly knowledge or learning. 3. Wise sayings or teachings. See Wise, the dictionary reads. Let’s finish Proverbs 9.10 that reads, The Knowledge of The Holy is Understanding. The Hebrew for Holy is K’DOE’SHEEM, meaning HOLY ONES, OR SAINTS. The HOLY ONES OR SAINTS are those who Fear GOD, and are Holy as GOD is Holy, Obeying every Word spoken by GOD in The Bible. PROVERBS 1.7 The Fear of The LORD is The Beginning of Knowledge. GOD begins to give us knowledge when we begin to Fear GOD and do what He says in The Bible. A QUICK OVERVIEW OF SOLOMON’S WRITINGS OF THE BOOK OF ECCLESIASTES IS THIS, WITHOUT GOD ALL IS VANITY. ECCLESIASTES 12.13 SOLOMON CONCLUDES THAT THE WHOLE PURPOSE OF LIFE IS TO FEAR GOD, AND KEEP HIS COMMANDMENTS. GOD’S LAWS, TEACHINGS AND INSTRUCTIONS THAT ARE WRITTEN THROUGHOUT THE BIBLE. Posted on May 27, 2018 May 28, 2018 Categories Shabbat MessageLeave a comment on WHAT IS SIN? Our teaching from Torah, The Law of Moses will continue from Deuteronomy 10.17-19. AND THE TITLE OF OUR MESSAGE IS, THE GREATNESS OF OUR GOD. And with that said, let’s read Deuteronomy 10.17-19. DEUTERONOMY 10.17 THE LORD OUR GOD IS GOD OF gods, AND LORD OF lords. A GREAT GOD, A MIGHTY AND AWESOME GOD WHO DOES NOT REGARD PERSONS. GOD IS NOT PARTIAL. HE DOES NOT FAVOR ONE ABOVE THE OTHER. NOR DOES GOD TAKE REWARDS OR BRIBES. FOR THE LORD YOUR GOD IS GREAT AND MIGHTY. FOR WHAT god IS THERE IN HEAVEN OR ON EARTH THAT CAN DO ACCORDING TO YOUR WORKS, AND ACCORDING TO YOUR MIGHT? YOU O LORD ARE CLOTHED WITH HONOR AND MAJESTY. FOR THE LORD IS GREAT AND OUR LORD IS ABOVE ALL gods. OUR GOD IS GREAT, AND GREATLY TO BE PRAISED, AND HIS GREATNESS IS UNSEARCHABLE. HE IS THE KING OF KINGS AND LORD OF lords. AND THEY THAT ARE WITH HIM ARE CALLED AND CHOSEN, AND FAITHFUL. THEREFORE, LET THE FEAR OF THE LORD BE UPON YOU. PAY ATTENTION AND DO IT. FOR THERE IS NO INIQUITY WITH THE LORD OUR GOD, NOR RESPECT OF PERSONS, NOR TAKING OF GIFTS. FOR THE LORD COMES TO JUDGE THE EARTH WITH RIGHTEOUSNESS. HE SHALL JUDGE THE WORLD AND THE PEOPLE WITH EQUITY. YOURS O LORD IS THE GREATNESS AND THE POWER, AND THE GLORY AND THE VICTORY, AND THE MAJESTY. FOR ALL THAT IS IN THE HEAVENS AND ON THE EARTH IS YOURS. YOURS IS THE KINGDOM O LORD, AND YOU ARE EXALTED AS HEAD ABOVE ALL. THE VOICE OF THE LORD IS UPON THE WATERS. THE GOD OF GLORY THUNDERS. THE LORD IS UPON MANY WATERS. THE VOICE OF THE LORD IS POWERFUL. THE VOICE OF THE LORD IS FULL OF MAJESTY. YOU ARE MORE BEAUTIFUL THAN THE CHILDREN OF MEN. GRACE IS POURED INTO YOUR LIPS. THEREFORE GOD HAS BLESSED YOU FOREVER. YOUR THRONE O GOD IS FOREVER AND EVER. THE SCEPTER OF YOUR KINGDOM IS A RIGHT SCEPTER. YOU LOVE RIGHTEOUSNESS, AND HATE WICKEDNESS, THEREFORE GOD, YOUR GOD HAS ANOINTED YOU WITH THE OIL OF GLADNESS ABOVE EVERYONE. THE LORD REIGNS. HE IS CLOTHED WITH MAJESTY. THE LORD IS CLOTHED WITH STRENGTH. THE WORLD IS ESTABLISHED BY THE LORD THAT IT CANNOT BE MOVED. YOUR THRONE O LORD IS ESTABLISHED OF OLD. YOU ARE FROM EVERLASTING. HONOR AND MAJESTY ARE BEFORE HIM. STRENGTH AND BEAUTY ARE IN HIS SANCTUARY. O HOUSE OF JACOB, LET US WALK IN THE LIGHT OF THE LORD. FOR YOUR MAKER IS YOUR HUSBAND, THE LORD OF HOSTS IS HIS NAME. AND YOUR REDEEMER, THE HOLY ONE OF ISRAEL, THE GOD OF THE WHOLE EARTH SHALL HE BE CALLED. FOR THUS SAITH THE HIGH AND LOFTY ONE THAT INHABITS ETERNITY, WHOSE NAME IS HOLY. I DWELL IN THE HIGH AND HOLY PLACE WITH HIM ALSO THAT IS OF A CONTRITE AND HUMBLE SPIRIT. TO REVIVE THE SPIRIT OF THE HUMBLE, AND TO REVIVE THE HEART OF THE CONTRITE ONES. O LORD OUR LORD, HOW EXCELLENT IS YOUR NAME IN ALL THE EARTH. WHO HAS SET YOUR GLORY ABOVE THE HEAVENS. THEN A CLOUD COVERED THE TENT OF THE CONGREGATION, AND THE GLORY OF THE LORD FILLED THE TABERNACLE. AND MOSES WAS NOT ABLE TO ENTER INTO THE TENT OF THE CONGREGATION BECAUSE THE CLOUD REMAINED ON IT. AND THE GLORY OF THE LORD FILLED THE TABERNACLE. THE HEAVENS DECLARE THE GLORY OF GOD, AND THE SKY SHOWS HIS HANDIWORK. DAY UNTO DAY UTTERS SPEECH, AND NIGHT UNTO NIGHT SHOWS KNOWLEDGE. THERE IS NO SPEECH NOR LANGUAGE WHERE THEIR VOICE IS NOT HEARD. HAVE YOU NOT KNOWN? HAVE YOU NOT HEARD THAT THE EVERLASTING GOD, THE LORD, THE CREATOR OF THE ENDS OF THE EARTH DOES NOT FAINT, NEITHER IS WEARY. THERE IS NO SEARCHING OF HIS UNDERSTANDING. HE GIVES POWER TO THE FAINT, AND TO THEM THAT HAVE NO MIGHT HE INCREASES STRENGTH. EVEN THE YOUTHS SHALL FAINT AND BE WEARY. AND THE YOUNG MEN SHALL UTTERLY FALL. BUT THEY THAT WAIT UPON THE LORD SHALL RENEW THEIR STRENGTH, THEY SHALL MOUNT UP WITH WINGS OF EAGLES. THEY SHALL RUN AND NOT BE WEARY. AND THEY SHALL WALK AND NOT FAINT. O LORD OF HOSTS, GOD OF ISRAEL THAT DWELLS BETWEEN THE CHERUBIM. YOU ARE GOD, EVEN YOU ALONE OF ALL THE KINGDOMS OF THE EARTH. YOU HAVE MADE HEAVEN AND EARTH. BUT THE MERCY OF THE LORD IS FROM EVERLASTING TO EVERLASTING UPON THEM THAT FEAR HIM. AND HIS RIGHTEOUSNESS TO CHILDREN’S CHILDREN. TO SUCH AS KEEP HIS COVENANT, AND TO THOSE WHO REMEMBER HIS COMMANDMENTS TO DO THEM. THE LORD HAS PREPARED HIS THRONE IN THE HEAVENS, AND HIS KINGDOM RULES OVER ALL. AND YESHUA SAID, WHEN YOU SEE ME, YOU SEE THE FATHER. AND HE THAT SEES ME SEES HIM THAT SENT ME. FOR I AND MY FATHER ARE ONE AND THE SAME. YESHUA THE MESSIAH, THE SON OF DAVID, THE SON OF ABRAHAM. OUR GOD IS AWESOME AND WONDERFUL. IN DEUTERONOMY 10.18 THE WORD JUDGMENT COMES FROM THE HEBREW MEESH’PAHT MEANING JUSTICE. DOING THAT WHICH IS LAWFUL AND RIGHT. THUS, THE LORD GOD ALWAYS CARRIES OUT JUSTICE FOR THE FATHERLESS AND THE WIDOW. DOING THAT WHICH IS LAWFUL AND RIGHT FOR THEM. PSALM 72.4 THE WORD SAVE IS FROM THE HEBREW YAH’SHAV MEANING TO BE SAFE, DELIVER, DEFEND, RESCUE, AND SAVE. THEREFORE GOD COMMANDS THE JEWISH PEOPLE TO NOT ONLY LOVE JEWISH PEOPLE, BUT TO LOVE THE NON-JEWISH PERSON, THE STRANGER, THE RESIDENT ALIEN ALIKE. PHILIPPIANS 2.5-8 MESSIAH, WHO IS GOD ALMIGHTY, MADE HIMSELF OF NO REPUTATION, AND TOOK UPON HIMSELF THE FORM OF A SERVANT. AND WAS IN THE LIKENESS OF MEN. THE BIBLE TEACHES US THAT WE ARE TO HAVE THAT MIND. THE MIND OF MESSIAH TO SERVE ONE ANOTHER. TO BE SERVANTS OF OTHERS. HOWEVER PHILIPPIANS 2.6 READS THAT MESSIAH IS EQUAL WITH GOD. AND THAT IS WRONG. The word EQUAL means, as great as, to be like, resemble, and the same as. MY POINT IS THIS. NO ONE CAN BE EQUAL WITH GOD. YESHUA THE MESSIAH IS NOT EQUAL WITH GOD. YESHUA THE MESSIAH IS GOD. YESHUA THE MESSIAH IS GOD ALMIGHTY, HA SHEM ELOHIM, THE FATHER. So Philippians 2.6 should read, WHO BEING IN THE FORM (NATURE) OF GOD, THOUGHT IT NOT ROBBERY TO BE GOD. The same error of Messiah Yeshua being equal with GOD is written in John 5.17-18. The Jews knew then, and The Jewish People know today that no one can be equal with GOD. The correct rendering of John 5.18 should read, THEREFORE THE JEWS SOUGHT THE MORE TO KILL HIM BECAUSE HE NOT ONLY HAD BROKEN THE SABBATH (HE DIDN’T) BUT SAID ALSO THAT GOD WAS HIS FATHER MAKING HIMSELF GOD. THE CHRISTIAN TRANSLATORS OF THE CHRISTIAN BIBLES MAKE THE MISTAKE THAT JESUS IS EQUAL WITH GOD BECAUSE THEY BELIEVE IN A TRINITY OF THREE DIFFERENT gods. THE CHRISTIAN TRANSLATORS OF THE CHRISTIAN BIBLES BELIEVE THAT JESUS IS NOT THE FATHER, BUT AS THE SON OF GOD (ANOTHER GOD) HE IS EQUAL WITH GOD. WHEN IN FACT THE JESUS OF THE BIBLE IS GOD THE FATHER AND THE SON OF GOD. THE TWO HEBREW WORDS FOR UNSEARCHABLE ARE AYN KHEY’KEHR, MEANING, NEVER OR NOT EXAMINED, NEVER FINDING OUT, AND NEVER SEARCHED OUT. GOD IS UNSEARCHABLE. THE NEW TESTAMENT SAYS THE SAME IN EPHESIANS 3.8 AND ROMANS 11.33. THERE IS ONLY ONE GOD. YESHUA/JESUS IS THAT ONE GOD. YESHUA THE MESSIAH IS GOD THE FATHER, THE SON, THE SPIRIT, THE HOLY SPIRIT, MELCHIZEDEK, THE GLORY OF GOD, OFTEN THE ANGEL OF GOD, THE ANGEL OF THE LORD, AND SO MUCH MORE. THERE IS ONLY ONE GOD. THE ONE GOD IS NOT A TRINITY OF THREE DIFFERENT AND SEPARATE gods. THE ONE GOD IS GOD, GOD ALMIGHTY, ELOHIM, YESHUA THE MESSIAH. GOD says through The Prophet Moses, The secret things belong to The LORD Our GOD, but those things which are revealed belong to us and to our children forever that we are to do all The Words of This Torah, The Law of Moses. THOUGH GOD IS UNSEARCHABLE, AND THE SECRET THINGS BELONG TO THE LORD OUR GOD, GOD’S LAW OF MOSES IS MADE KNOWN, AND AVAILABLE TO EVERYBODY, JEWS AND NON-JEWS. OUR GOD IS A GREAT GOD. HIS WAYS ARE UNSEARCHABLE. BUT LIVING YOUR LIFE ACCORDING TO GOD’S LAW OF MOSES WRITTEN IN THE FIRST FIVE BOOKS OF THE BIBLE IS YOUR WISDOM AND YOUR UNDERSTANDING. THAT ALSO IS GOD’S GREATNESS. Posted on May 21, 2018 Categories Shabbat MessageLeave a comment on THE GREATNESS OF OUR GOD. WHAT STATUTES OF THE LORD SHALL WE OBSERVE AND DO ON THE FESTIVAL OF SHAVUOT, ALSO CALLED PENTECOST? Today is Shavuot, meaning Weeks, and also called Pentecost, meaning Fiftieth Day. And our teaching will come from Torah, The Law of Moses in Leviticus 23.1-2 and verses 15-22. THE TITLE OF OUR TEACHING IS, WHAT STATUTES OF THE LORD SHALL WE OBSERVE AND DO ON THE FESTIVAL OF SHAVUOT, ALSO CALLED PENTECOST? The LORD’S Teaching that we will study on Shavuot/Pentecost is Written in Leviticus 23.1-2, and verses 15-22. So let’s read The Word of GOD in Leviticus 23.1-2 and verses 15-22. LEVITICUS 23.1-2 SHAVUOT, ALSO CALLED PENTECOST IS A FESTIVAL OF THE LORD, AND A HOLY CONVOCATION. Since these are Festivals of The LORD, The Festivals of The LORD should be observed by everybody, not just The Jewish People. The Word Feast or Festival in Hebrew is MO’ADE meaning An Appointed Time, And The Gathering of The Congregation. A Holy Convocation, in Hebrew is MEEK’RAH KO’DESH meaning, A Time Set Apart For The LORD, and A Gathering Of The People for A Service Dedicated To The LORD To Observe The Holy Day. The Holy Day of Shavuot and all GOD’S Holy Festivals Written in Leviticus 23 are also Rehearsals. Rehearsals to Practice for The Holy Day in the future 1,000 year Messianic Kingdom on earth in Israel with MESSIAH YESHUA, and in Eternity in Heaven with MESSIAH YESHUA, GOD ALMIGHTY, HA SHEM ELOHIM. A Holy Convocation is a Day that GOD has Provided man the opportunity to put aside the labors of life to concentrate on The LORD Our GOD to refresh our Souls. LEVITICUS 23.15 The count to The Fiftieth Day, to Shavuot/Pentecost begins on the day after the Saturday Sabbath of Passover on Sunday, the day of the Wave Offering. The Wave Offering is described in Leviticus 23.11 as Waving The Sheaf before The LORD. LEVITICUS 23.11 The Sheaf is a bundle of newly harvested barley grain. And the sheaf was waved before The LORD by The Priest on Sunday, the day after The Saturday Sabbath during Passover. So the day after the Sabbath is Sunday when the sheaf was waved. I believe the waving of the Sheaf before The LORD is Prophecy of the then future Resurrection of The Messiah Yeshua Who was raised to life on Sunday in Jerusalem three days after Messiah gave His Life for our Atonement. Messiah’s Passover Seder was on Wednesday Evening, The Evening of Passover. GENESIS 1.5 The day begins at sundown. So the count to Shavuot begins from Sunday, the day after the Saturday Sabbath during Passover, seven Sabbaths, that is seven weeks, or forty-nine days. Since there is no Temple in Jerusalem, or Priesthood, The Grain offering cannot be offered to The LORD. But The Festival of Shavuot continues without The Temple fifty days from Sunday, the day after The Saturday Sabbath on Passover. LEVITICUS 23.17 The two wave loaves, or two loaves of bread baked with leaven, not Matzah, were waved by The Priest to The LORD that represented the firstfruits of the harvest as an offering to The LORD. An expression of Thanks to The LORD for His Love, and His Provision in feeding His People. Shavuot is a time to Rejoice and give Thanks before The LORD for His Good Harvest, and His Provision for His People. DEUTERONOMY 16.9-12 The Feast of Weeks in Hebrew is Khag Shah’vu’ote. However the great importance of these Scriptures (Leviticus 23.18-20) is that The LORD Our GOD Commands His Jewish People and all peoples that we must have Atonement for our sins. Messiah was killed as He often predicted. LEVITICUS 23.21 On that same day, the Day of Shavuot/Pentecost, you shall hold a Holy Convocation, a Gathering of The People for a Service Dedicated to The LORD. Shavuot is a Sabbath. You shall do no work of any kind in that Day. It shall be a Statute, a Law forever wherever your home may be throughout your generations. That is forever. LEVITICUS 23.22 When The Children of Israel, The Jewish People harvest their land, GOD says, You shall not harvest all the way to the corners of your field, nor shall you gather the ears of grain left by those who harvest the field. But you shall leave them for the poor and for the foreigner. I Am The LORD Your GOD. So, what are we Commanded by The LORD our GOD to do on Shavuot/Pentecost? Shavuot/Pentecost is a Day to Rejoice before The LORD for the good harvest He has given us, and His great Provision always for His People. Shavuot/Pentecost is a Sabbath. No work of any kind is to be done in that Day. Shavuot/Pentecost is a Day for the gathering of The People to hold a Service Dedicated To The LORD. It is a Day that GOD Commands all mankind to make Atonement for our souls if we do not already have Atonement for our sins through The Messiah Yeshua. Two Loaves of bread are made to give thanks to The LORD for His wonderful provision of food for us all the time. And when the fields are harvested, the gleanings must be left for the poor and the foreigner. The Church did not begin then. The Church began some 300 years later in the days of Constantine around 324 A.D. However some 3,000 Jewish People came to Faith in their Messiah Yeshua during The Day of Shavuot/Pentecost in Jerusalem fifty days after Messiah Yeshua’s death for our Atonement. The 3,000 Jewish People who received The Jewish Messiah Yeshua never became Christians, nor were they the first Church. They remained Jewish. And these 3,000 Jewish People were Miqveh, Immersed in water that Christianity calls Baptism to proclaim their faith in The Jewish Messiah Yeshua for their Atonement, the forgiveness of their sins. And they continued in The Apostles Doctrine. The Apostles Doctrine according to The Bible is this: Live by every Word that proceeds out of The Mouth of GOD that is Written in The Bible from Genesis through Revelation. That includes every Law, Teaching and Instruction that is Written in The Law of Moses. And having Faith in The Messiah Yeshua for Atonement. And that is The Gospel for an Excellent Life on earth and Eternal Life in Heaven. Those are the Statutes of The LORD that we must observe and do on The Festival of Shavuot/Pentecost. Posted on May 21, 2018 Categories Shabbat MessageLeave a comment on WHAT STATUTES OF THE LORD SHALL WE OBSERVE AND DO ON THE FESTIVAL OF SHAVUOT, ALSO CALLED PENTECOST? ONLY THE LORD HAD A DELIGHT IN YOUR FATHERS TO LOVE THEM AND TO CHOOSE THEIR DESCENDANTS AFTER THEM. YOU ABOVE ALL THE PEOPLES. We are continuing our teaching in The Law of Moses from Deuteronomy 10.15-16. AND THE TITLE OF OUR MESSAGE IS, ONLY THE LORD HAD A DELIGHT IN YOUR FATHERS TO LOVE THEM, AND TO CHOOSE THEIR DESCENDANTS AFTER THEM. YOU ABOVE ALL THE PEOPLES. And with that said, let’s read Deuteronomy 10.15-16. A while back, well, more than a while back, we began our studies of Torah, The Law of Moses from Genesis through Deuteronomy. And we started in Genesis 1.1 in which The LORD says, In The Beginning GOD created The Heavens and the earth. Now, quite some time later, we have moved on to studying The Book of Deuteronomy which is a review of GOD’S Law of Moses. 3,400 years ago in the wilderness, The LORD GOD had given The Children of Israel all His Laws, Teachings, and Instructions that are Written in The Law of Moses before They entered The Promised Land Canaan. Before The Children of Israel had a permanent Homeland for themselves. Giving The Law of Moses to The Children of Israel before they entered The Promised Land that is now called The Land of Israel, is somewhat like The Creation. Before GOD created man, He created everything in six days that was necessary for man to live a good and perfect life on earth in the Presence of GOD. First GOD created The Heavens and the earth. Then He brought forth light. And created the evening and the morning. That was the first day. On the second day, GOD created the sky between the waters. And GOD called the sky Heavens. On the third day, GOD gathered the waters into one place that He called seas. And then GOD created the dry land that He calls earth. And the earth brought forth grass, and herb yielding seed, and fruit trees. On the fourth day of The Creation, GOD created the lights in the Heavens, the sun, the moon, and the stars. On the fifth day, GOD created the fish and all things that live in the waters, and the birds that fly. On the sixth day, GOD created the animals, and every living thing that creeps. And then GOD created man in His Image, male and female. GOD created everything necessary for mankind to live their lives before The LORD created the first human beings. In somewhat the same manner, before The Children of Israel conquered and possessed their permanent Homeland, the land of Canaan that they renamed The Land of Israel, GOD equipped His People earlier in the wilderness with The Law of Moses. GOD’S Law of Moses contains all GOD’S Laws, Teachings and Instructions for His People Israel, and all peoples to know how to Live a Good, Lawful and GODLY Life, and a Prosperous Life. And by so doing, they will receive Eternal Life in Heaven from The LORD Their GOD. DEUTERONOMY 10.15 Moses told The Children of Israel that The LORD delighted in Abraham, Isaac, and Jacob, their Jewish fathers, to love them. And He chose their descendants after them, you, Moses said, The Jewish People above all the peoples. An incredible and awesome gift. Yet there are so many Christian Theologians and Ministers throughout the world who teach that the Church has replaced The Jewish People as GOD’S Chosen People, and now the church and its congregants are the chosen people of GOD above all peoples. That is absolutely wrong. How can GOD choose the Church as His chosen people that teaches that GOD’S Law of Moses that contains all GOD’S Laws, Teachings, and Instructions for mankind is abolished. How can GOD choose the Church as His chosen people that teaches that GOD’S Laws are no longer in effect? They are ended, and annulled, the Church teaches. How can GOD choose the Church to be His chosen people that teaches a trinity of three different gods when GOD teaches over and over again in The Bible that there is Only One GOD and no others? The Word of GOD stands forever. That is Biblical Teaching. However, the Church and its Congregants can be fully part of GOD’S Chosen People, The Jewish People if they Repent, and Turn from all their sins of breaking The Law of Moses, to Obeying all that is Written in The Law of Moses. Doing that which is Lawful and Right in The Sight of GOD. And that includes believing in One GOD and no others. JESUS IS GOD ALMIGHTY THE FATHER. Abraham, Isaac, and Jacob go back some 4,000 years. Jacob’s twelve sons are the fathers of the twelve tribes of Israel. And The Bible says that Abraham Obeyed The Voice of GOD. GOD appeared to Abraham many times and spoke to him Face to face. And Abraham kept GOD’S Charge. That is, Abraham kept GOD’S Instructions. And Abraham Obeyed GOD’S Commandments, Statutes and Laws. GOD loves those who are like Abraham. Obedient to The LORD GOD OF ISRAEL. Obedient to every Word that GOD speaks in The Bible. The LORD appeared to Isaac after his father Abraham died when there was a famine in the land of Canaan. And The LORD told Isaac not to go down to Egypt. So, The LORD chose The Jewish People because GOD had a delight in their fathers, Abraham, Isaac, and Jacob. These men were strong in their faith with GOD. They obeyed every Word GOD spoke. And that is what GOD requires from all people to be Chosen of GOD, and fully part of GOD’S Chosen People to inherit Eternal Life in Heaven. Obedience to The LORD Their GOD. DEUTERONOMY 10.16 In the days of Moses, and from that time forward, even until now, The Jewish People have great respect for Abraham, Isaac, and Jacob, the fathers of Judaism, because they were GODLY men. Men of GOD. Strong in The LORD Their GOD. And Moses said to The People, Circumcise therefore the foreskin of your heart, and stop being stiffnecked. Stop being stubborn. Stop being disobedient to The LORD Your GOD, and consider your fathers, Abraham, Isaac and Jacob. BECAUSE OF ABRAHAM’S OBEDIENCE TO THE LORD GOD, THE LORD REWARDED ABRAHAM WITH GREAT BLESSINGS. GOD MADE OF ABRAHAM THE GREAT NATION OF ISRAEL. AND GOD MADE ABRAHAM’S NAME GREAT, AND GOD MADE ABRAHAM A BLESSING. AND GOD BLESSES THOSE WHO BLESS ABRAHAM AND THE JEWISH PEOPLE. AND GOD CURSES THOSE WHO CURSE ABRAHAM AND THE JEWISH PEOPLE. AND GOD SAID TO ABRAHAM, IN YOU (YOU AND THE JEWISH PEOPLE) SHALL ALL THE FAMILIES OF THE EARTH BE BLESSED. AND GOD HAS GIVEN TO ABRAHAM AND HIS DESCENDANTS AFTER HIM, THE JEWISH PEOPLE, ALL THE LAND OF CANAAN FROM THE RIVER IN EGYPT TO THE EUPHRATES RIVER, THAT BECAME THE LAND OF ISRAEL, FOR AN EVERLASTING POSSESSION. AND GOD IS THE GOD OF THE JEWISH PEOPLE BECAUSE ABRAHAM LOVED THE LORD GOD, AND ABRAHAM OBEYED EVERY WORD THE LORD GOD SPOKE. AND FROM ISAAC, THE SON OF ABRAHAM, ALL JEWISH PEOPLE DESCEND. AND GOD NAMED JACOB, THE GRANDSON OF ABRAHAM, THE SON OF ISAAC, ISRAEL BECAUSE OF HIS OBEDIENCE TO GOD. AND GOD OFTEN REFERS TO ISRAEL IN THE BIBLE AS JACOB. SO MOSES IS SAYING TO THE MILLIONS OF JEWISH PEOPLE STANDING BEFORE HIM IN THE WILDERNESS, BE OBEDIENT TO THE LORD YOUR GOD LIKE YOUR FATHERS, ABRAHAM, ISAAC AND JACOB AND BE BLESSED MIGHTILY. AND STOP BEING STUBBORN AND STIFFNECKED. AND GOD SAYS THE VERY SAME WORDS TO HIS JEWISH PEOPLE TODAY, AND ALL THE PEOPLES OF THE WORLD. BE LIKE ABRAHAM, ISAAC, AND JACOB, OBEDIENT TO THE VOICE OF GOD WRITTEN IN THE BIBLE, AND BE BLESSED WITH A PROSPEROUS AND SUCCESSFUL LIFE, AND ETERNAL LIFE IN HEAVEN. AND STOP BEING STUBBORN AND STIFFNECKED. And GOD Chose The Jewish People to be His Servant and Witnesses to know GOD and believe GOD, and Understand that there is Only One GOD. That no GOD was formed before Him. Neither will there be another GOD after Him. GOD has given The Jewish People a great gift to be The Chosen People of GOD. And GOD expects much from His People. But The Jewish People have received and continue to receive double for their sins. Sin is disobedience to GOD, breaking GOD’S Law of Moses. EZEKIEL 20.11 Which if a man does he shall live in them, means, Which if a man does, he and she shall live their lives in GOD’S Statutes and Judgments which are written in The Law of Moses. And The Bible says, The Gentiles, the non-Jewish People, who are lawless, who reject GOD by rejecting The Word of GOD Written in The Bible that includes The Law of Moses will also receive double for their sins. Why will the Gentiles receive double for their sins? Because the Gentiles have The Bible available to them that has The Word of GOD Written in it by Jewish People from Genesis through Revelation that teaches the Gentiles how to live a Good and GODLY Life, that is Lawful and Right in The Sight of GOD. And that GOD rewards the Gentiles with Blessings and Eternal Life in Heaven for Obeying Him. REVELATION 18.1-6 Babylon is the world that the nations (The Gentiles) have drunk of her sins. And GOD says, Come out of her My People, and do not participate in her iniquities. The world’s iniquities are disobedience to The Word of GOD, and His Law of Moses. Reward her with double for her sins, GOD says. So Moses told The Children of Israel in Deuteronomy 10.16, Circumcise therefore the foreskin of your heart and stop being stiffnecked. Cut away the foreskin about your hearts. Open yourselves to GOD and be Obedient to Him. Obey Every Word that GOD Speaks in The Law of Moses. Be like your fathers, Abraham, Isaac, and Jacob. And Moses is telling the Gentiles today to open your hearts to GOD and obey Him. Obey, as Messiah Yeshua says, Every Word that proceeds out of The Mouth of GOD. And that includes The Law of Moses. And today, those Jewish and non-Jewish People who believe in The Messiah Yeshua, GOD put His Law of Moses in your inward parts and wrote it in your hearts to Obey Him when you came to faith in Messiah Yeshua. To Obey GOD’S Law of Moses. THEN I SAY TO YOU, OBEY THE LORD YOUR GOD WHO IS MESSIAH YESHUA, GOD ALMIGHTY, HA SHEM ELOHIM THE FATHER, AND BE BLESSED LIKE ABRAHAM, ISAAC, AND JACOB. Posted on May 13, 2018 May 14, 2018 Categories Shabbat MessageLeave a comment on ONLY THE LORD HAD A DELIGHT IN YOUR FATHERS TO LOVE THEM AND TO CHOOSE THEIR DESCENDANTS AFTER THEM. YOU ABOVE ALL THE PEOPLES. Our study will continue in The Law of Moses from Deuteronomy 10.12-14. AND THE TITLE OF OUR MESSAGE IS, THE LORD GOD, AND HIS WORD THAT INCLUDES TORAH, THE LAW OF MOSES SHOULD BE THE FOUNDATION ON WHICH YOUR LIFE STANDS. 12 And now Israel, what does The LORD Your GOD require of you, but of Fear The LORD Your GOD, to Walk in all His Ways, and to Love Him, and to Serve The LORD Your GOD with all your heart, and with all your soul. 13 And to Keep The Commandments of The LORD, and His Statutes which I Command you this day for your good. 14 Behold, The Heaven and The Heaven of Heavens is The LORD’S Your GOD, the earth also, with all that is on it. MESSIAH YESHUA GIVES US AN EXCELLENT TEACHING WHY THE LORD GOD, AND HIS WORD THAT INCLUDES TORAH, THE LAW OF MOSES SHOULD BE THE FOUNDATION ON WHICH OUR LIFE STANDS IN LUKE 6.46-49. LUKE 6.46 WHY DO YOU CALL ME LORD, LORD AND DO NOT DO THE THINGS WHICH I SAY, MESSIAH SAID? THERE IS ONLY ONE LORD, AND HE IS GOD ALMIGHTY. AND THE LORD GOD ALMIGHTY IS MESSIAH YESHUA. AND PEOPLE WHO DESIRE TO SERVE THE LORD MUST DO THE THINGS THAT THE LORD SAYS IN THE BIBLE. FOR MESSIAH YESHUA IS GOD ALMIGHTY. LUKE 6.47 AGAIN, THE HEBREW WORD FOR “HEAR” IS SH’MA THAT MEANS HEAR AND OBEY. WHOSOEVER COMES TO ME, MESSIAH SAYS, AND HEARS AND OBEYS MY SAYINGS AND DOES THEM, I WILL SHOW YOU WHO HE IS LIKE. MESSIAH’S SAYINGS ARE EVERY WORD THAT GOD SPEAKS IN THE BIBLE. AND EVERY WORD GOD SPEAKS IN THE BIBLE INCLUDES THE LAW OF MOSES. LUKE 6.48 HE IS LIKE A MAN WHO BUILT A HOUSE, AND DUG DEEP, AND LAID THE FOUNDATION ON A ROCK. AND WHEN THE FLOOD AROSE, THE STREAM BEAT VEHEMENTLY UPON THAT HOUSE, AND COULD NOT SHAKE IT BECAUSE THE FOUNDATION OF THE HOUSE WAS ON A ROCK. MESSIAH IS NOT TALKING ABOUT A HOUSE. HE’S TALKING ABOUT PEOPLE LIKE YOU AND ME. THE ROCK IS GOD ALMIGHTY, YESHUA THE MESSIAH, AND EVERY WORD GOD SPEAKS IN THE BIBLE. AND THE LAW OF MOSES IS THE WORD OF GOD. THAT IS THE ROCK ON WHICH YOUR LIFE SHOULD BE BUILT ON. THE MAN WHO HEARS AND OBEYS THE WORD OF GOD, BELIEVES, AND UNDERSTANDS THAT THE LAW OF MOSES IS THE WORD OF GOD. AND THE WORD OF GOD IS GOD’S DOCTRINE FOR THE EARTH. THAT MAN BUILT HIS LIFE ON GOD, THE ROCK, AND EVERY WORD THAT GOD SPEAKS IN THE BIBLE. GOD IS YOUR ROCK, AND GOD IS YOUR FOUNDATION WHEN YOU LIVE YOUR LIFE ACCORDING TO THE WORD OF GOD. THAT SHOULD BE YOUR FOUNDATION. GOD ALMIGHTY, YESHUA THE MESSIAH, AND EVERY WORD THAT GOD SPEAKS IN THE BIBLE. AND WHEN THE PROBLEMS OF LIFE ARISE, NOT IF THEY ARISE, BUT WHEN THEY ARISE, YOU WILL STAND STRONG IN THE LORD AND NOT FALL BECAUSE GOD ALMIGHTY, MESSIAH YESHUA, AND HIS WORD ARE YOUR FOUNDATION. THAT IS THE FOUNDATION ON WHICH GOD REQUIRES ALL MANKIND TO LIVE THEIR LIVES. IN OBEDIENCE TO GOD. IN OBEDIENCE TO HIS WRITTEN WORD IN THE BIBLE. AND OBEDIENCE TO HIS LAW OF MOSES THAT IS ALSO THE WRITTEN WORD OF GOD. AND HAVING ATONEMENT IN THE MESSIAH YESHUA. THE LAW OF MOSES IS THE VOICE OF THE LORD YOUR GOD THAT TEACHES YOU WHAT IS RIGHT IN HIS SIGHT. AND THAT IS TO FEAR THE LORD YOUR GOD, TO WALK IN ALL HIS WAYS, AND TO SERVE THE LORD YOUR GOD WITH ALL YOUR HEART AND WITH ALL YOUR SOUL. TO KEEP THE COMMANDMENTS OF THE LORD, AND ALL HIS STATUTES WHICH GOD COMMANDS YOU FOR YOUR GOOD. LUKE 6.49 BUT HE THAT HEARS THE WORD OF GOD, BUT DOES NOT DO WHAT GOD SAYS IN THE BIBLE THAT INCLUDES THE LAW OF MOSES, THAT PERSON HAS NO FOUNDATION IN LIFE. THAT PERSON’S FOUNDATION IS LIKE A HOUSE BUILT ON SAND THAT AS SOON AS THE FLOODS CAME, THE HOUSE FELL, AND THE RUIN OF THAT HOUSE WAS GREAT. MOST PEOPLE WHO BELIEVE IN MESSIAH YESHUA, BETTER KNOWN IN THE WORLD AS JESUS CHRIST, DO NOT OBEY THE WORD OF GOD THAT INCLUDES THE LAW OF MOSES. AND MILLIONS, EVEN BILLIONS OF PEOPLE WHO ARE WITHOUT MESSIAH YESHUA DO NOT OBEY OR DO THE SAYINGS OF THE LORD WRITTEN IN THE BIBLE. MOST DO NOT DO A WORD GOD SAYS IN THE BIBLE. THEREFORE, ACCORDING TO THIS STORY THAT MESSIAH TELLS, THEIR LIFE IS BUILT ON SAND BECAUSE THEY DO NOT OBEY THE SAYINGS OF GOD. THEY CERTAINLY DO NOT OBEY THE LAW OF MOSES. BELIEF IN JESUS DOES NOT ABOLISH THE LAW OF MOSES AS SO MANY ARE TAUGHT AND BELIEVE. LISTEN TO THIS. WHEN A PERSON SAYS I BELIEVE IN MESSIAH YESHUA, OR I BELIEVE IN JESUS CHRIST, AND DISOBEYS THE LAW OF MOSES, THAT PERSON BELIEVES IN ANOTHER JESUS. GOD IS NOT A MAN, HE IS GOD WHOSE SPIRIT FILLS THE HEAVENS AND THE EARTH. HE IS GOD WHO SPOKE THE CREATION INTO EXISTENCE. HE IS THE CREATOR OF HEAVEN AND EARTH AND ALL THAT IS IN THEM. HE IS GOD ALMIGHTY. HE IS THE FATHER, THE MESSIAH YESHUA, THE SPIRIT, THE HOLY SPIRIT, THE HOLY ONE OF ISRAEL, THE GOD OF ISRAEL. HE IS YEHOVAH, JEHOVAH, ELOHIM. THERE IS ONLY ONE GOD. THAT IS WHY MESSIAH AT TIMES REFERS TO HIMSELF AS WE, OR US, OR OUR. BELIEVING IN JESUS MAKES ATONEMENT FOR YOUR SOUL ON THE CONDITION THAT YOUR BELIEF IN JESUS IS ACCOMPANIED WITH OBEDIENCE TO THE WORD OF GOD THAT INCLUDES THE LAW OF MOSES. PAUL PREACHED THE GOSPEL, THE GOOD NEWS OF MESSIAH YESHUA WHOSE SACRIFICIAL DEATH MAKES ATONEMENT FOR YOUR SOUL. BUT PAUL ALSO TEACHES THAT ATONEMENT MUST ALWAYS BE WITH OBEDIENCE TO EVERY WORD GOD SPEAKS IN THE BIBLE. AND THE LAW OF MOSES IS TORAH, THE WORD OF GOD, THE VOICE OF GOD WRITTEN FROM GENESIS THROUGH DEUTERONOMY. PAUL TEACHES THROUGHOUT HIS WRITINGS THAT OBEDIENCE TO THE LAW OF MOSES IS RIGHT IN THE SIGHT OF GOD. PAUL’S TEACHING IN ROMANS 2.13 IS THIS. FOR THOSE WHO DO NOT OBEY THE LAW OF MOSES ARE NOT JUST BEFORE GOD. BUT THE DOERS OF THE LAW OF MOSES SHALL BE JUSTIFIED. PAUL WRITES, THAT THE WRATH OF GOD IS REVEALED FROM HEAVEN AGAINST ALL UNGODLINESS AND UNRIGHTEOUSNESS OF MEN WHO HOLD THE TRUTH IN UNRIGHTEOUSNESS. UNGODLINESS AND UNRIGHTEOUSNESS ARE DISOBEDIENCE TO GOD. THAT IS DISOBEDIENCE TO THE WORD OF GOD. AND DISOBEDIENCE TO THE LAW OF MOSES, THE SPOKEN WORD OF GOD THAT STANDS FOREVER. THAT NEVER CHANGES OR ENDS. AND THESE UNGODLY, UNRIGHTEOUS PEOPLE, PAUL TEACHES, HOLD THE TRUTH IN UNRIGHTEOUSNESS. UNRIGHTEOUSNESS IS EVIL AND PERVERSE. AND AT SOME POINT IN THEIR LIFE WHETHER ON EARTH OR SOMEWHERE ELSE, GOD WILL BRING HIS WRATH UPON THEM. BECAUSE THEIR LIFE’S FOUNDATION IS SIN, TRANSGRESSING GOD’S WRITTEN WORD IN THE BIBLE. AND GOD’S WRITTEN WORD IS LAW. THE GOSPEL TAUGHT IN THE BIBLE IS SIMPLE TO UNDERSTAND. THE GOSPEL IS OBEYING EVERY WORD THAT GOD SPEAKS IN THE BIBLE, AND KNOWING THERE IS ONLY ONE GOD. AND GOD WILL BLESS YOU WITH A WONDERFUL LIFE ON EARTH AND ETERNAL LIFE IN HEAVEN. BUT SO MANY PEOPLE BUILD THEIR HOUSE ON SAND BECAUSE THEY DO NOT LIVE BY THE WORD OF GOD. THEREFORE AT SOME POINT IN TIME, AS MESSIAH SAYS IN HIS STORY, THEIR HOUSE, WHICH IS THEIR LIFE THAT IS BUILT ON SAND WILL FALL INTO RUIN. THERE ARE LOTS OF SUCCESS STORIES OF PEOPLE SUCCEEDING IN LIFE, HAVING NEVER OBEYED A WORD THAT GOD SPEAKS IN THE BIBLE. AND WHEN THEY DIED, THEY LEFT HEFTY INHERITANCES. HOWEVER, THE FOUNDATION ON WHICH THE BIBLE STANDS IS GOD AND HIS WORD THAT INCLUDES THE LAW OF MOSES. AND THE FOUNDATION OF YOUR LIFE SHOULD BE THE SAME. YOUR FOUNDATION SHOULD BE GOD AND OBEDIENCE TO EVERY WORD THAT GOD SPEAKS IN THE BIBLE THAT INCLUDES HIS LAW OF MOSES. WHY? BECAUSE GOD IS THE POSSESSOR OF HEAVEN AND EARTH. GOD OWNS HEAVEN AND EARTH. ON THE OTHER HAND, GOD HAS DECIDED THAT OBEYING HIS WORD THAT INCLUDES HIS LAW OF MOSES IS RIGHTEOUSNESS. AND GOD, WHO OWNS HEAVEN AND EARTH, HAS DECIDED FROM THE BEGINNING OF THE CREATION THAT THOSE WHO ARE RIGHTEOUS, OBEDIENT TO GOD, ARE WRITTEN IN GOD’S BOOK OF LIFE AND HAVE ETERNAL LIFE IN HEAVEN. AND THOSE WHO ARE NOT, DON’T. SEE THE STORY OF GOD, ADAM AND EVE, AND SATAN IN THE GARDEN OF EDEN IN GENESIS 2 AND 3. GOD REQUIRES ALL MANKIND TO FEAR THE LORD YOUR GOD, TO WALK IN ALL HIS WAYS, TO LOVE HIM, AND TO SERVE THE LORD YOUR GOD WITH ALL YOUR HEART, AND WITH ALL YOUR SOUL. TO KEEP THE COMMANDMENTS OF THE LORD AND HIS STATUTES, WHICH GOD COMMANDS YOU TO DO FOR YOUR GOOD. AND THAT INCLUDES ATONEMENT IN MESSIAH YESHUA. THAT IS THE GOSPEL. AND DOING WHAT GOD SAYS IN THE BIBLE KEEPS YOU WRITTEN IN GOD’S BOOK OF LIFE. AS THE OWNER OF HEAVEN AND EARTH, THOSE ARE THE RULES THAT GOD REQUIRES ALL MANKIND TO FOLLOW TO HAVE ETERNAL LIFE IN HEAVEN. SO IN MESSIAH’S STORY ABOUT THE MAN WHO BUILT HIS HOUSE ON SAND, THIS IS SOMEONE WHO BUILT HIS LIFE ON SIN, DISOBEDIENCE TO GOD. ON THE OTHER HAND, THE PERSON WHOSE LIFE IS BUILT ON THE FOUNDATION OF GOD AND HIS WORD THAT INCLUDES THE LAW OF MOSES, THAT PERSON STANDS IN TIMES OF TROUBLE. AND THAT PERSON IS WRITTEN IN GOD’S BOOK OF LIFE. AND THAT PERSON HAS THE GIFT OF ETERNAL LIFE IN HEAVEN. HOWEVER THERE IS ALSO GOD’S GIFT OF REPENTANCE ACCORDING TO THE WORD OF GOD THAT IS TAUGHT BY GOD IN EZEKIEL 18.21. THE WICKED ARE THE UNGODLY, THE DISOBEDIENT TO GOD. BUT, IF THE WICKED WILL TURN, THAT IS REPENT FROM ALL THEIR SINS OF BREAKING THE LAW OF MOSES, TO OBEYING THE LAW OF MOSES AND EVERY WORD THAT GOD SPEAKS IN THE BIBLE, DOING THAT WHICH IS LAWFUL AND RIGHT, GOD SAYS, THAT PERSON SHALL SURELY LIVE. HE SHALL NOT DIE. THAT IS THE FORMULA FOR ALL HUMANITY TO BE WRITTEN IN GOD’S BOOK OF LIFE FOR ETERNAL LIFE IN HEAVEN. AND GOD IS THE OWNER OF HEAVEN. ALL GOD’S COMMANDS, LAWS, TEACHINGS, AND INSTRUCTIONS THAT ARE WRITTEN IN THE BIBLE ARE FOR ALL HUMANITY FOR YOUR GOOD. 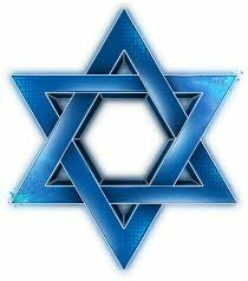 THE JEWISH PEOPLE ARE ISRAEL. AND GOD GAVE THE JEWISH PEOPLE THE GREAT MINISTRY TO BE HIS WITNESSES TO BRING THE WORD OF GOD TO THE WORLD THAT JEWISH PEOPLE RECORDED IN THE BIBLE IN THE OLD TESTAMENT AND THE NEW TESTAMENT FOR ALL MANKIND TO OBEY GOD. THEN YOUR LIFE IS BUILT ON GOD, YOUR ROCK. AND YOU ARE WRITTEN IN GOD’S BOOK OF LIFE. AND YOU HAVE GOD’S GIFT OF ETERNAL LIFE IN HEAVEN WHEN THE FOUNDATION OF YOUR LIFE IS THE LORD YOUR GOD AND HIS WORD THAT INCLUDES TORAH, THE LAW OF MOSES.